Have you tried lemon grass tea? How could one afford to say “No” to a healthy tea which can also gives you beautiful skin and lots of health benefits? The lemon grass is a widely used herb in Asian cooking. The lemon grass helps to detoxify the liver, pancreas, kidney, bladder, and the digestive tract. It cuts down uric acid, cholesterol, excess fats and other toxins in the body while stimulating digestion, blood circulation. Given that lemon grass is such a natural body cleanser, it cleans from the inside-out. With that, it helps improve the skin by reducing acne and pimple. Also, it acts as a muscle and tissue toner. In Ayurveda, the lemon grass is used as a stress reliever. Research shows that every 100g of boiled lemon grass stalk can contain up to 24.205 micrograms of beta-carotene and anti-oxidant. Anti-oxidant is essential for us to fight free radical and helps prevent cancer. As mentioned, lemon grass contain beta-carotene that is essential for beautiful and healthy eyes. 1. Seep the teabags in 4 cups of hot water in a pot. 2. 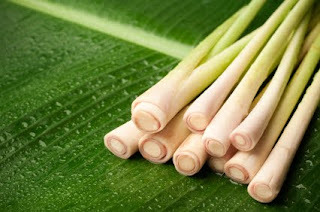 Wash and smash the lemongrass stalks, discard the fibrous top parts. 3. Boil the lemongrass stalks in the pot of jasmine tea for 15 minutes. 4. Add sugar to taste or alternatively add honey when the drink is ready and cooled. 5. When cooled, add ice cubes and serve. Try it, it is very refreshing on a hot day. Sounds good flo , feeling so sick hope it helps me get rid of my stuffy nose!